A beloved pet or small child with a tendency toward drooling can leave saliva stains on upholstered surfaces. The slimy substance is made from a combination of mucous, protein and enzymes combined with odor-causing bacteria that can lead to a smelly stain on your furniture. While saliva production is beneficial to the digestion and oral hygiene, it's not something you necessarily want on your furniture. To effectively remove the saliva stain, you must break down the proteins and remove both the stain and odor-causing bacteria from the surface of the furniture. 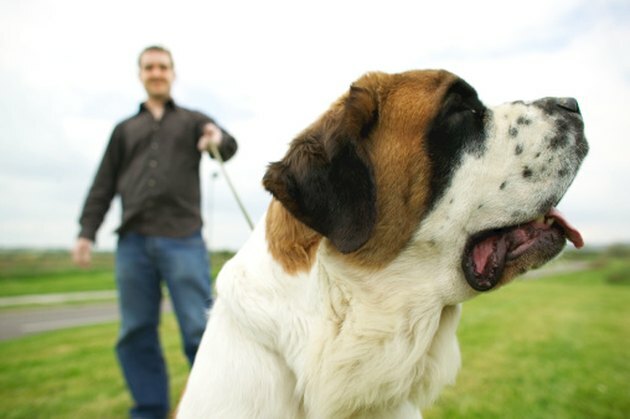 Some large breed dogs have a tendency to drool. Remove the saliva before tackling the stain. 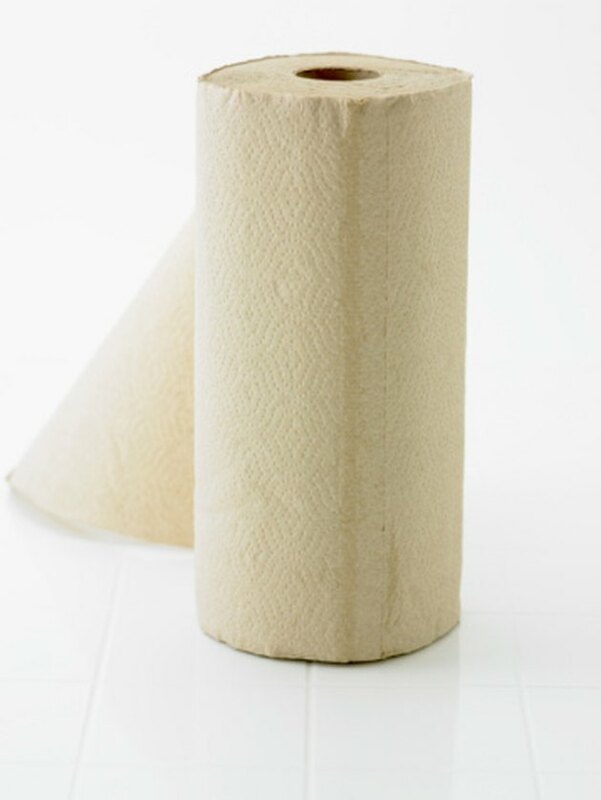 Blot up fresh saliva stains with a dry paper towel until the substance is removed. If the saliva has dried, dampen the paper towel and lay it over the saliva to soften it, and then sponge it off the upholstery. A simple detergent-based solution helps clean up saliva stains. Combine 1 qt. warm water, 1/2 tsp. dish-washing detergent and 1 tbsp. ammonia in a large bowl. 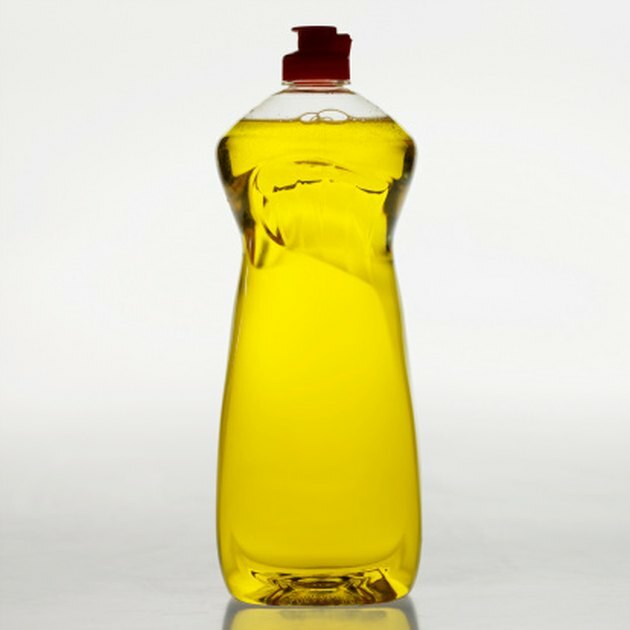 Dip a clean cloth in the detergent solution and wring out excess moisture. Sponge the remaining saliva stain starting at the outer area of the stain and working your way into the middle. As the stain is lifted, rinse the cloth off, apply more detergent solution and continue to dab at the stain. Dampen a clean cloth with water and rinse the upholstery by sponging up the detergent solution. Press clean, dry cloths into the upholstery to remove excess moisture. Treat any remaining saliva stains by covering the stain with a enzyme pet odor neutralizer. The enzymes in the solution break down the proteins in the saliva, helping to remove the stain. Rinse the area with a damp cloth and allow it to air dry.